Last month, Nissan revealed the new-gen Leaf with proPILOT semi-autonomy technology. 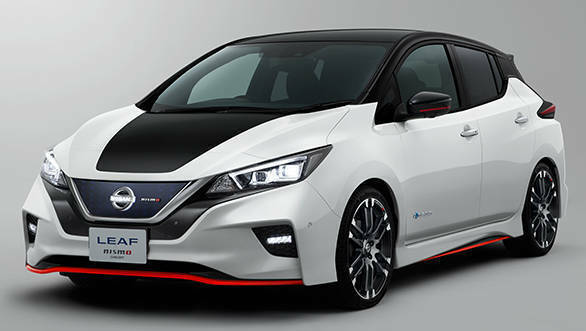 While there is still time for the new-gen Leaf to arrive at major international markets, Nissan has revealed details of the Leaf Nismo concept that will be shown at the Tokyo Motor Show scheduled to take place at the end of this month. 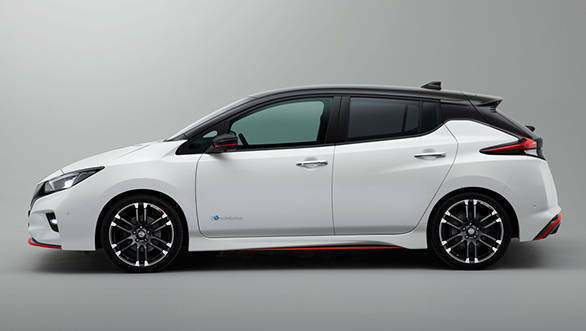 The 2017 Nissan Leaf Nismo gets design upgrades as well as other mechanical updates. This racy looking version of the Nissan Leaf should be on sale in 2019. Typical of the performance arm of Nissan, the 2017 Nissan Leaf Nismo features a sportier looking body. This can be seen with the more aggressively styled front bumper with a spoiler lip and a larger mesh, all of which gives a more well defined front profile. 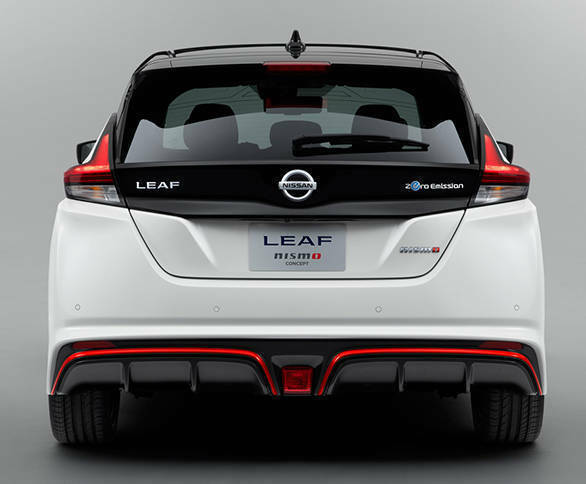 The side profile of the 2017 Nissan Leaf Nismo concept looks similar to the regular model, however, it gets Nismo branded alloy wheels and a comparatively lower ride height. The rear sports a more aggressive diffuser with a centrally placed F1-style brake light. And lastly, the tail features the Nismo badge that makes a big difference. The cabin of the 2017 Nissan Leaf Nismo does not look visually any different from what we have already seen in the regular model. 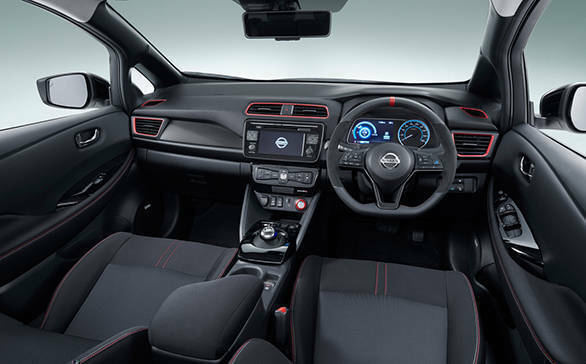 The changes that the cabin gets are the red accents that are seen around the air-con vents, the seat upholstery door panels and the start button that features the Nismo logo, making it look more spiced up than the regular Nissan Leaf model.